Fuzzy, sweet bedroom-pop for you. Style: Diaristic bedroom pop, with all the lo-fi fuzz and static left in. I'm a sucker for bedroom-pop, and Moon Racer is probably my favorite discovery this year. 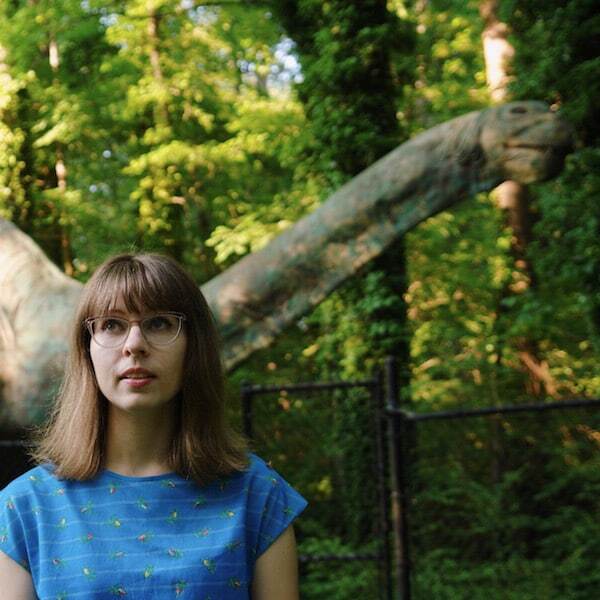 The creation of a North Carolina singer-songwriter named Autumn, Moon Racer excels in crafting dreamlike memories through simple chord progressions, looped percussion, soft vocals, and added layers of distorting fuzz and static. Everything sounds a little, little bit like something you can't quite put a finger on in your past. A memory of a memory, which makes Moon Racer feel all the more precious. Their most recent output is an eight-track project called Is It Really A Secret released by Orindal Records in April. It's half a reissue of old songs from a 2016 independently released EP, half new material, and an incredibly easy listen-through. I think the first time I played it, I ended up listening through three or four times. "Song of the Mogwai" is my favorite cut, one that's heavy on the distortion and tape hiss, and one of the drowsier tracks in the collection. Autumn sings of driving with her eyes closed, and dreams of warmer weather. It is indulgent, simple, and sweet.